Rapper. Record producer. Fashion designer. Entrepreneur. Misunderstood. 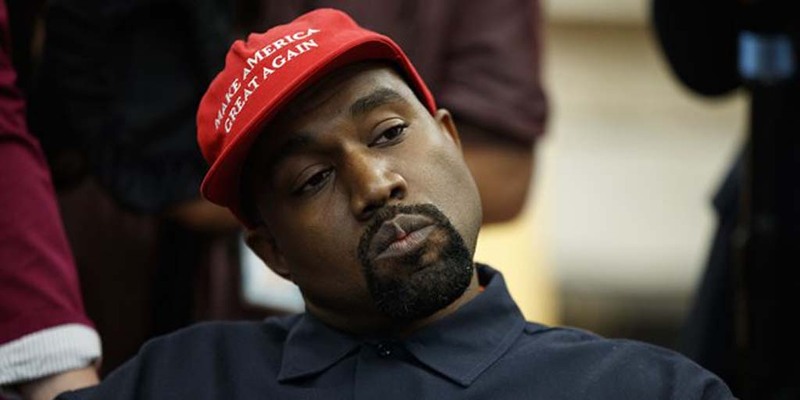 While everyone’s mind is racing in fear for this nation’s condition, Kanye West – a pillar in today’s hip-hop and rap world – confessed his adoration for the 45th president of the United States. It all started when he met with newly-elected President Trump back in December 2016. What we thought as a “genius move” two years ago, quickly turned into something that seems very daunting and confusing. “If I was concerned about racism, I would’ve moved out of America long time ago,” exclaimed West during his “Saturday Night Live” (SNL) outro earlier this month, which was discontinued abruptly. Many believe that ever since the loss of his mother, Donda West, in 2007, he was never the same. Others also believe his marriage plays a part in disfiguring his sovereignty. Whatever it may be, the sunken place is still West’s favorite place to go to. West has always been known for his daring attitude that has put him in the highest and lowest places in the minds of those who have been following him since his album “College Dropout” in 2004. He accentuates the freedom of mind and speech, dares everyone to love and creates art that elevates the soul. These beautiful intentions get blurred because of the baffling methods he uses to project his deranged ideas these days – sporadic interviews with TMZ, absurd Twitter comments and tirades, wearing a Make America Great Again (MAGA) hat with a Colin Kaepernick sweater and many more. West lets his mind wander freely in this vast galaxy with closed eyes, and he fails to realize how massive his impact is as an artist. Like many, I was left disappointed. As much as I adore his body of art and the way he perceives the world, I refuse to dismiss his actions and behavior just because he is Kanye West. Seeing West associate himself with the man who utilizes hatred as a foundation of his platform is as disturbing as it is upsetting. Sooner or later, the MAGA community will start to take advantage of West in that bright red hat to justify hate towards everything and everyone that is not American – something that West was never known for. Claiming that “400 years of slavery sounds like a choice” is something that should not be taken lightly by anyone, regardless of your political views. Even after all this, he is still seen in a positive light, which leaves some fans utterly perplexed. West admitted during his visit to the Oval Office that he was misdiagnosed with bipolar disorder, claiming that he was only sleep deprived. But this is no excuse for his inane behavior. The man who was once a pivotal member of the black community is the same man that is now wearing his signed MAGA hat proudly. The man who had the grit to say, “Bush doesn’t care about black people,” on national television is the same man who implied that racism is not any of his concern. The moment when we needed West the most, he vanished. So let me say this: Mr. West, we’re happy that you are finally free from the shackles that you thought were holding you back. But just know, losing a crucial icon such as yourself to the other side is a great loss for popular culture. You were the culture, and now you’re merely a pale imitation of the greatness you once represented. Wake up Mr. West.